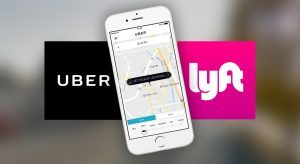 Update (02/11/19, 2:05 p.m.) – The City of Ashland has released the text of Mayor John Stromberg’s “friendly veto” of an ordinance regulating companies like Uber and Lyft. While the measure passed through the city council with a four to two vote earlier this month, the mayor vetoed the ordinance this past weekend. On Monday afternoon, Mayor Stromberg provided a copy of the veto, along with a list of reasons for his decision. You can read the veto and memorandum HERE. The ordinance will be presented again during a city council meeting on February 19. Original story: ASHLAND, Ore. – The mayor of Ashland has reportedly vetoed a measure allowing Uber and Lyft service in the city. An amended ordinance was approved by the city council earlier this month in hopes of bringing the ride-sharing companies to town. According to Akins, she believes the mayor is acting in good conscience but she doesn’t agree his reasoning is enough to override the measure passed by a majority of council members. NBC5 News is expecting a press release from the City of Ashland regarding this issue and the mayor’s reasoning shortly. This story will be updated when more information becomes available.